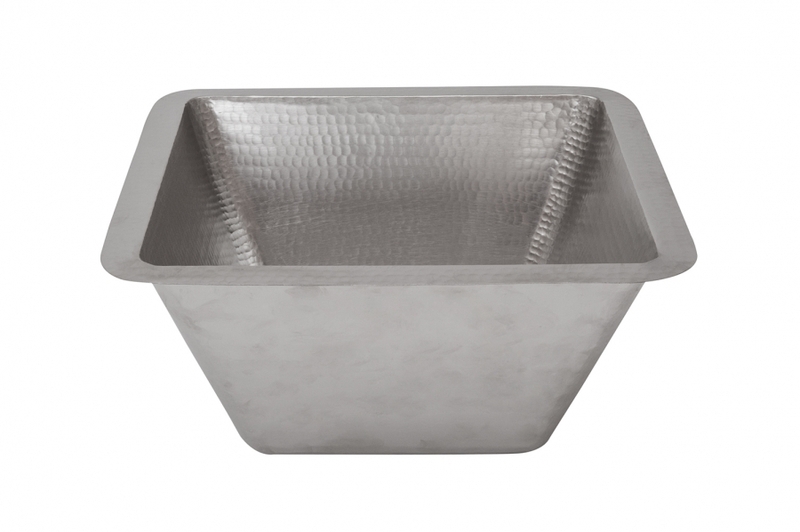 For all of the work done at the bar or prep area of the kitchen, this square sink basin brings a lot of style. The shape tapers down to a depth of 7 inches. 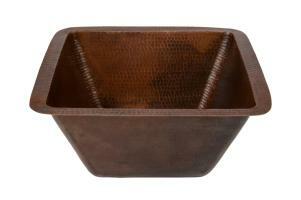 The copper material is heavy duty and made for a busy space. The surface has a wonderful patterned texture created by the hammered finish.